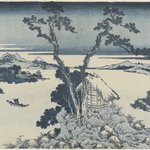 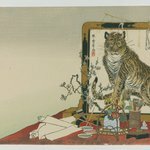 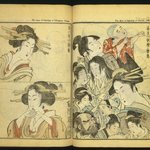 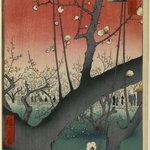 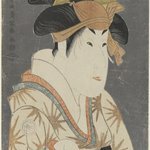 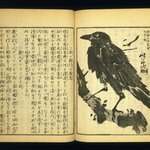 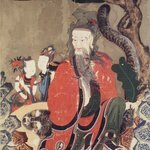 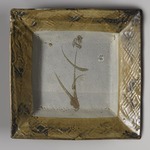 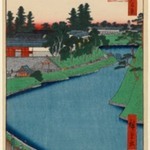 How can a single composition document the city of Edo during the mid-nineteenth century? 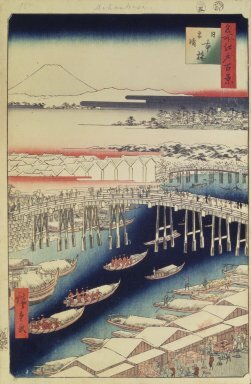 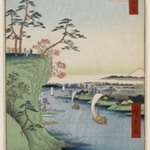 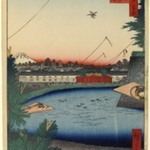 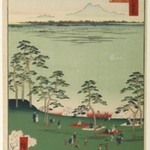 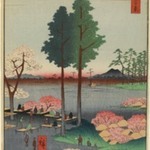 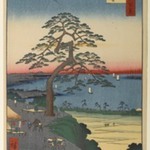 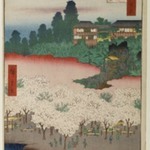 Three iconic images of Japanese culture during the time of Hiroshige are joined in this print, which was chosen to introduce the series: in the background, the perfect form of Mount Fuji, symbol of nature and the divine; at the right, Edo Castle, representing political power; and in the foreground, riverside scenes teeming with activity, emblematic of the common people. 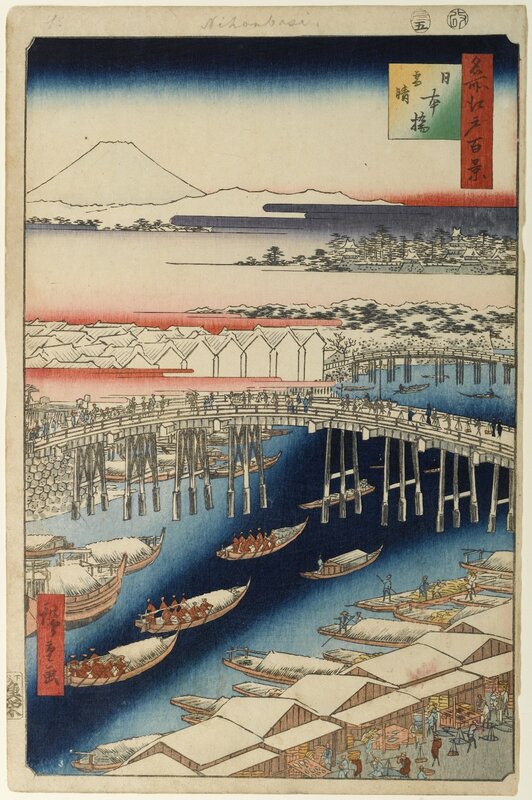 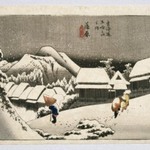 The snowy scene is cast in morning light, at the great Bridge of Japan, or Nihonbashi, from which distances to all parts of Japan were measured.